Young, passionate, hot – Arsen and Rena were a great couple to work with at the intimate photoshoot in Sydney. They work as fire dancers, and their blood is full of fire towards each other – as you can see in pictures. They didn't hesitate to follow my instructions, were relaxed and had a great time creating a new love memory for themselves. 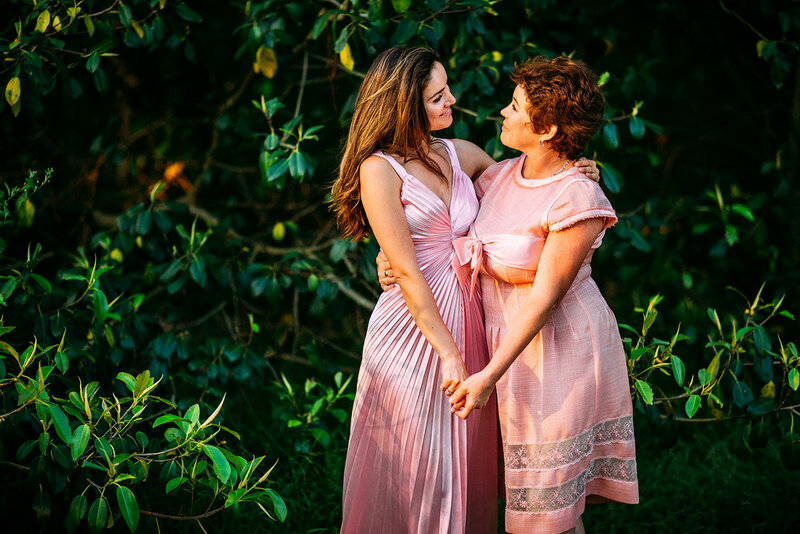 Every mom has been a girl and a daughter herself. That is why she understands her baby girl`s needs, wishes, the way she thinks and behaves. But understanding does not ensure the confidence in how to raise a kid to be assertive, well-rounded self even through the tricky years of being a teenager. Encourage your kid to stand for herself and her opinion. If another kid is being mean to her she should know that she should express her position about that and do not swallow the offense. The best way to do that is by telling about that: “I don't like how you are talking to me”. A lot of parents know how important it is to compliment a child. But not all of them understand that general compliments don't work. Instead of “You are smart” tell “You read this book really quickly!” or “Your memory is unbelievable!”. And please, make the praise real - notice her personal progress and improvements instead of comparing her with other kids. For example, “Wow, you are running faster than in previous month”. Encourage responsibility and competence. If your daughter asks for help with chores or homework encourage her to work on it herself a little bit more. 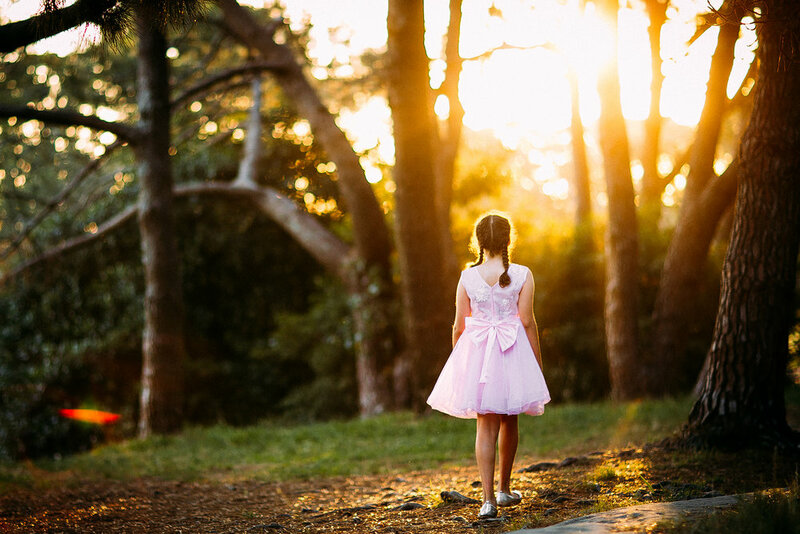 Inspire her to face the obstacles and move forward. 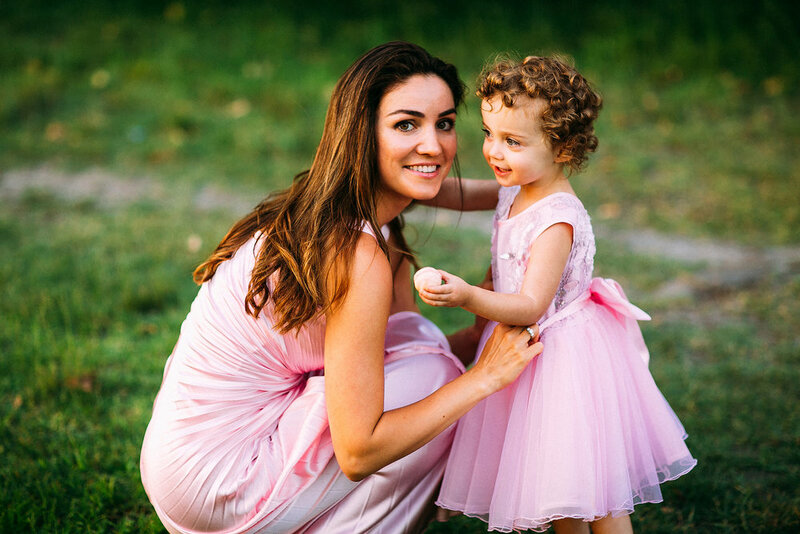 These are three great pieces of advice that would really help you to raise your daughter happy and confident. 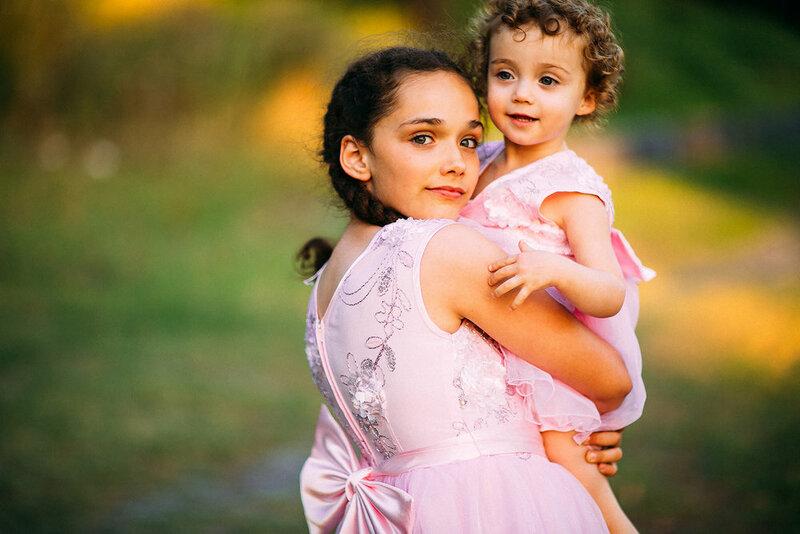 We are family photographers in Sydney and would really enjoy making a great photo shoot for you and your family. 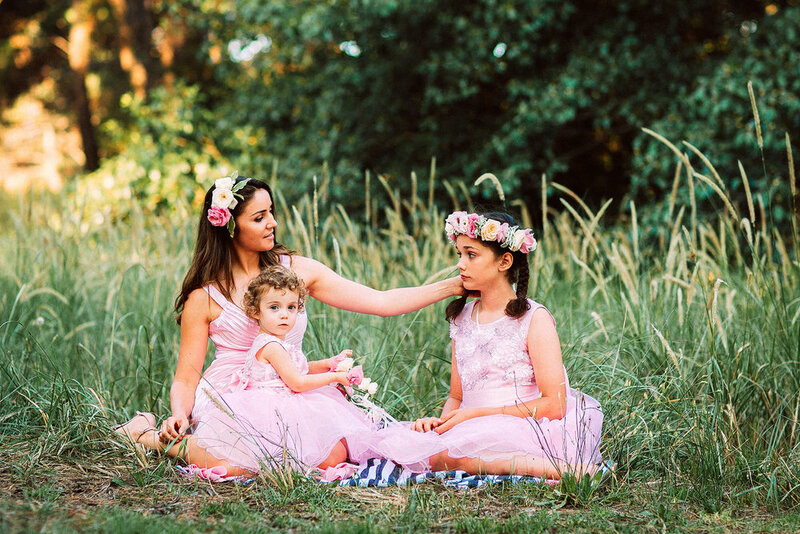 The location where we shot these pictures is Centennial Park which highlights the natural beauty of Rosa, Natalia, Milana, Emilia. 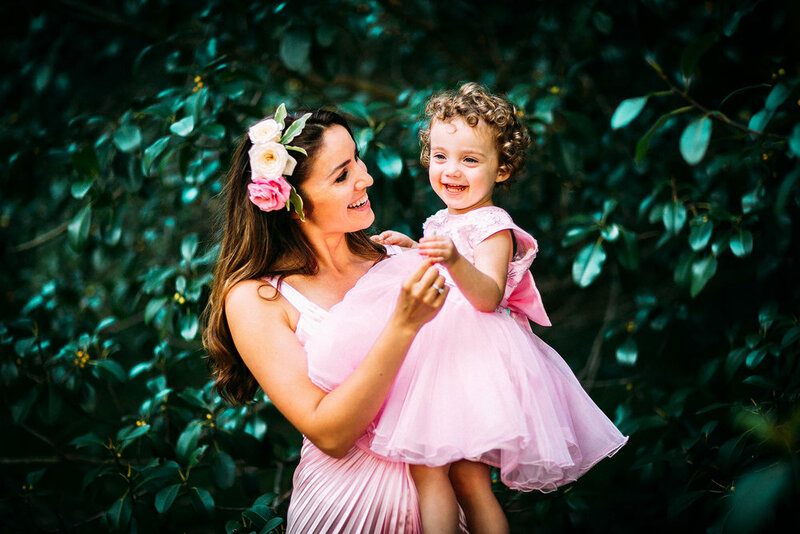 Gorgeous headpieces were created by Rosella Floral Designs. 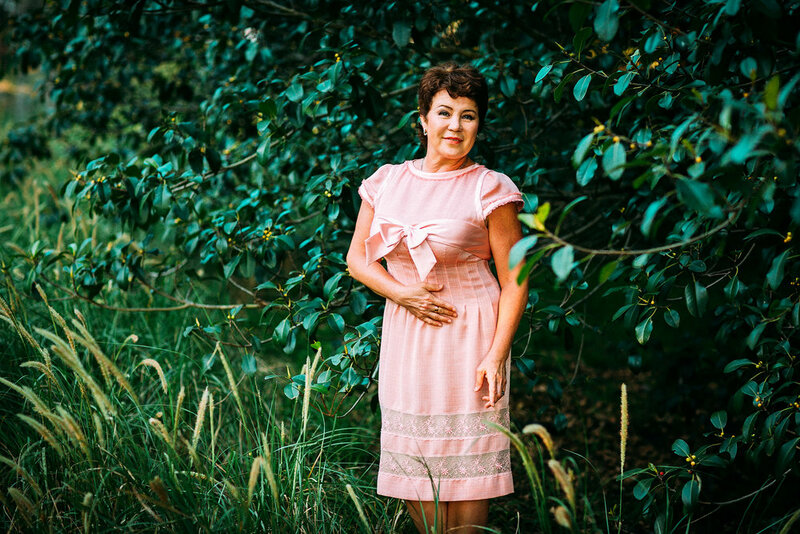 And all the dresses were handmade by Rosa. 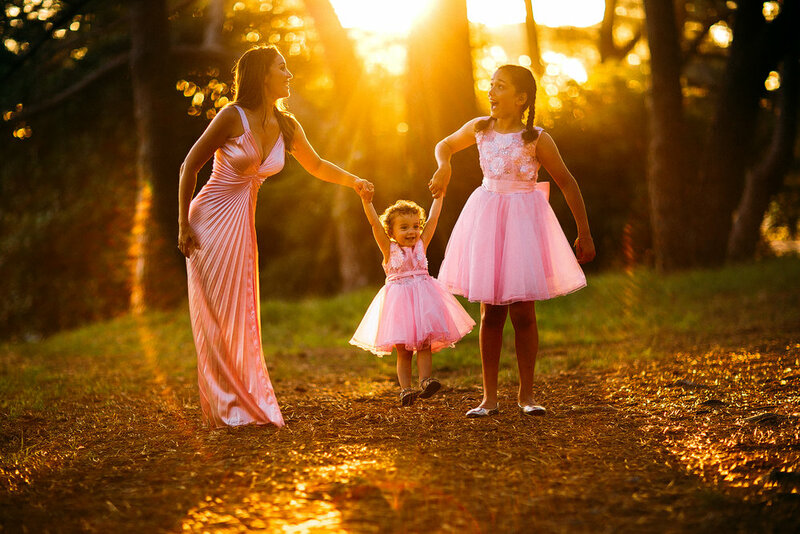 Recently we have made a photo shoot of a beautiful family with girls in three generations - Rosa, Natalia, Milana, Emilia. All four of them are incredible and absolutely charming. Ever wondered what drives your child’s behavior, makes him feel worried or excited, sad or happy? Yes, sure, there are a lot of possible reasons, but the main one that forms his core behavior is YOUR OWN BEHAVIOR. Exciting, isn't it?